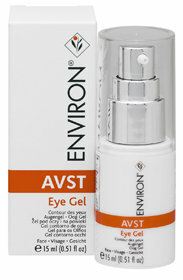 Environ®'s AVST 4 contains high levels of vitamins A and C and a peptide Palmitoyl Pentapeptide-4 (Matrixyl). Contains essential antioxidants including vitamin E, C, resveratrol and beta-carotene. Helps to provide protection from modern environmental hazards (pollution, UV radiation). Assists to nourish and smoothen skin and helps to improve the look of fine lines, uneven skin tone and the appearance of sun damage. Helps to provide protection from modern environmental hazards (pollution, UV radiation). Assists to nourish and smoothen skin and helps to improve the look of fine lines, uneven skin tone and the appearance of sun damage.